Prompted Google to continue to serve the immediate and chat Hang Out ​​to the accounts provided by enterprise applications to provide a quick and easy way to hold meetings and meetings through remote video Hang Out​​. And can account for any Google applications without the need for a Google Plus account to start a conversation with a high-resolution video up to 15 different user via computers and chrome now and later will support smartphones and tablet computers. Google held partnerships with Blue Jeans for the use of video conferencing systems across the traditional standard H.323 protocol or SIP. 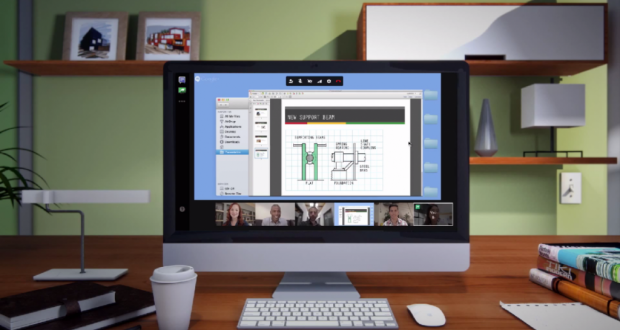 And also InterCall which allows users to join video chats and meetings through their phone. If you are using the devices Chromebox meeting soon you will be able to connect two screens together with one device to allow views of people within the group conversation and presentations at the same time. Because service-oriented companies, the Google made ​​it easier for IT managers meeting management through the control panel to Google applications where they can start and end the mute and remote meetings.